However, there is a nugget of wisdom in it. A couple of nuggets, even. NUGGET #1: Creating and Revising are two separate tasks that involve two entirely different mindsets. 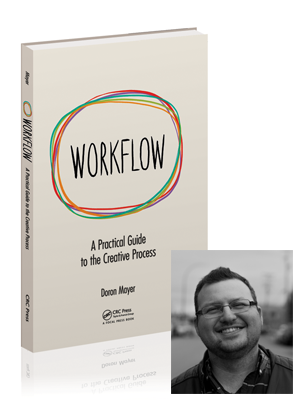 If you get that, you’re already miles ahead in your understanding of how the process works (in ‘Workflow’, I refer to these two mindsets as two different creative entities: The Artist and The Critic). NUGGET #2: When we’re drunk, we’re often more confident and less self-critical than we are when we’re sober. It so happens that this is a good ‘artist’ mindset. 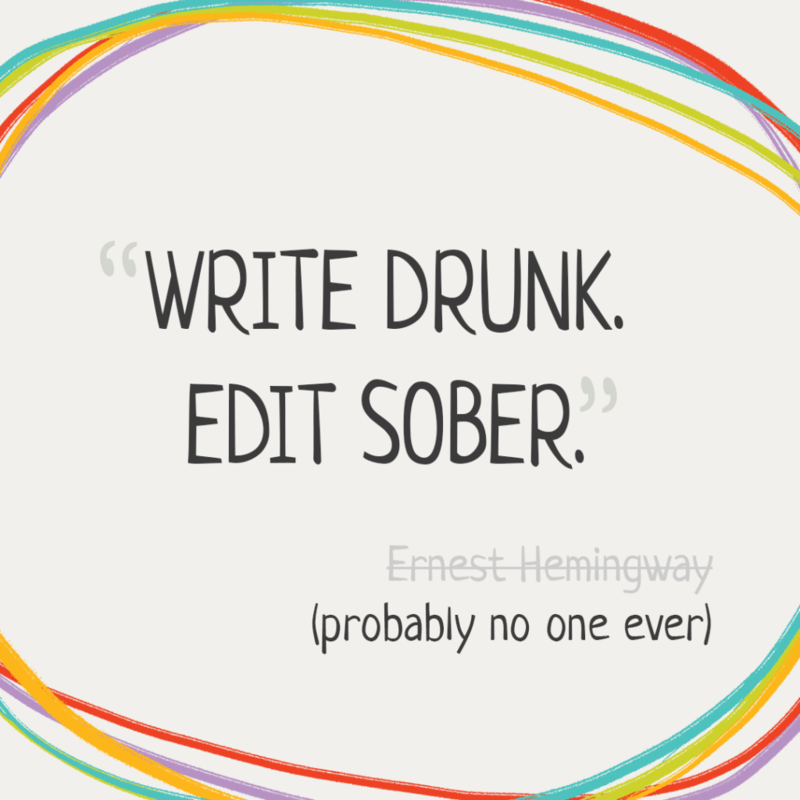 It doesn’t mean you need to actually be drunk, but when you’re in “generating content” mode, try to do it as if you’re drunk. Be reckless; be bold; be messy; be silly; be crazy. You can worry about elegance and craftsmanship later; that is, when you revisit and revise your work. In other words, when you’re “sober”. I realize, of course, that this is easier said than done. After all, if we could all act and feel drunk without actually being drunk, beer companies would not have existed! However, with some training, you can get better at it. It just takes some discipline. When you feel unsure of what you’ve just created, you need to resist the urge to go back and revise. Keep reminding yourself that no one is watching. You will publish it eventually – but there will be many more versions between now and then; at this point, it’s just you and your work. For now, you are allowed to be wrong. Onward! For more about creating, revising and the different mindsets of the creative workflow, check out my lecture about structured chaos.